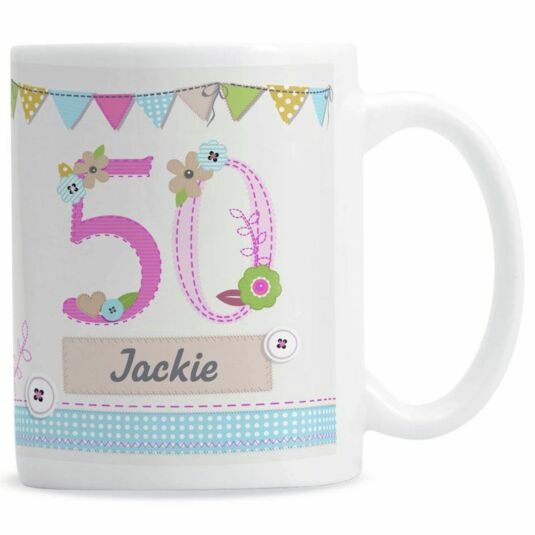 There is a very vintage feel to the decoration on this ceramic birthday mug. Multi-coloured bunting in pastel shades is festooned around the rim, a strip of blue gingham encircles the base and the mug is decorated with buttons and stylized flowers. 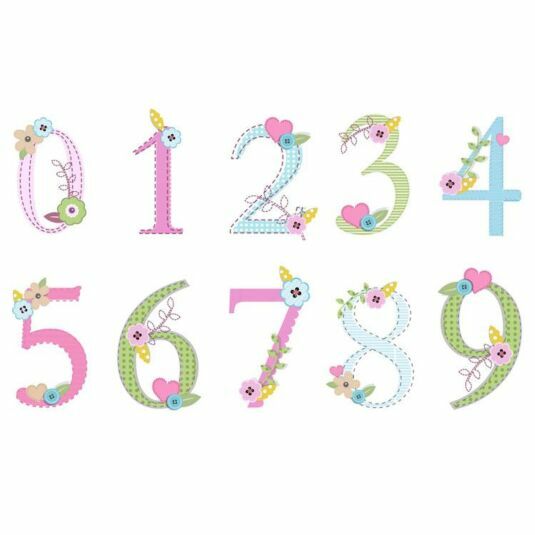 The age of the recipient is represented in pastel shades of printed fabric with the name below. A lovely gift for anyone who loves to craft and enjoys nostalgic pursuits. It is advisable to wash by hand to preserve the personalisation. 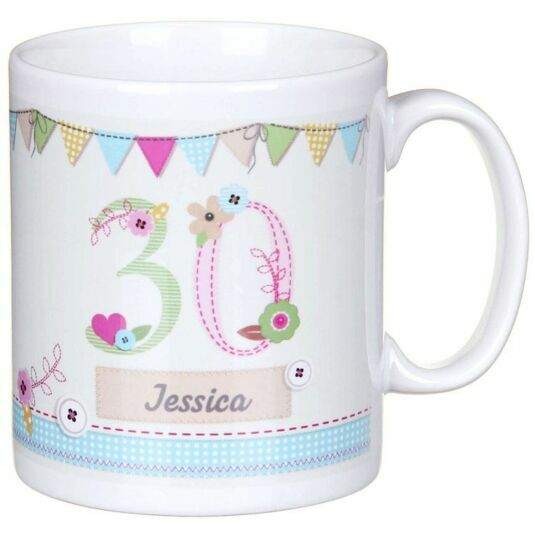 An age of up to 2 characters which features in the centre of the mug in a large, patterned and colourful font. Recipient's name with a maximum of 12 characters to appear below the age. 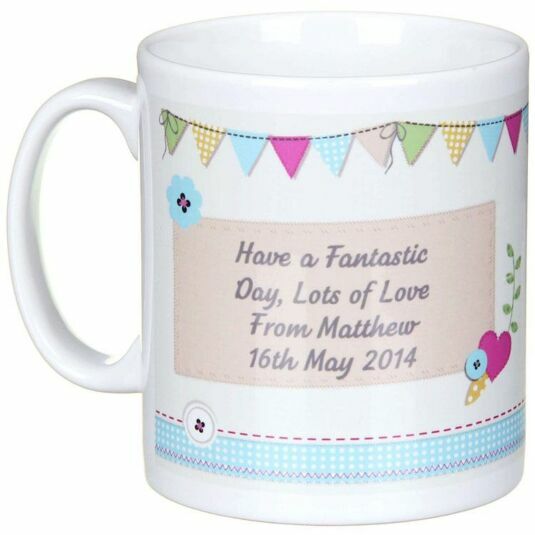 A message across 4 lines, each with a maximum of 20 characters per line to feature on the back of the mug. Due to the time required for personalisation, Premium and Next Day delivery options are not available. Please expect up to 5 working days for delivery.